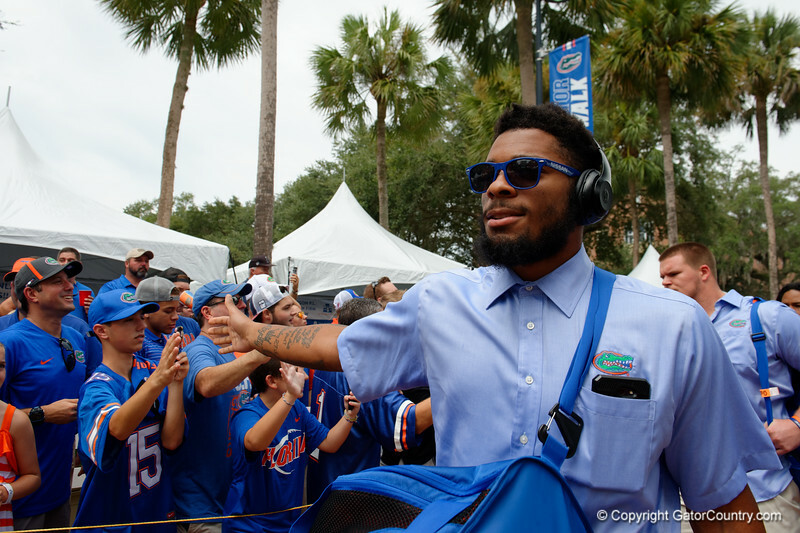 University of Florida Gators defensive lineman Cece Jefferson as the Gators walk into and across Steve Suprrier Field at Ben Hill Griffin Stadium during Gator Walk for a date with SEC East rival, the Tennessee Volunteers. September 16th, 2017. Gator Country photo by David Bowie.